Oil on linen/panel, 2011 7x5"
We needed a little color after all the winter greys. 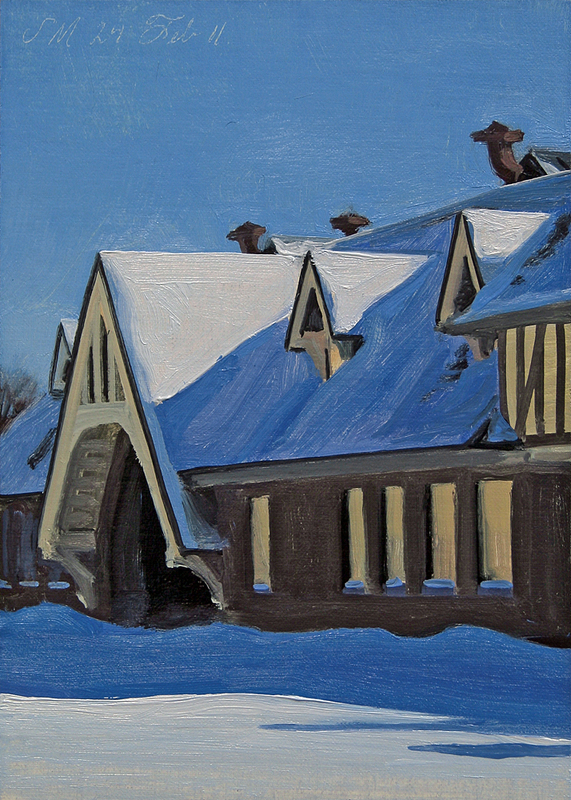 Today's daily painting is a winter scene of the view from my studio window. 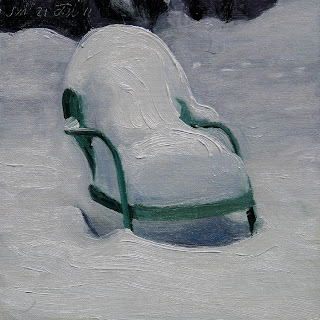 We are getting pretty tired of all the snow and we are Thinking of Spring. 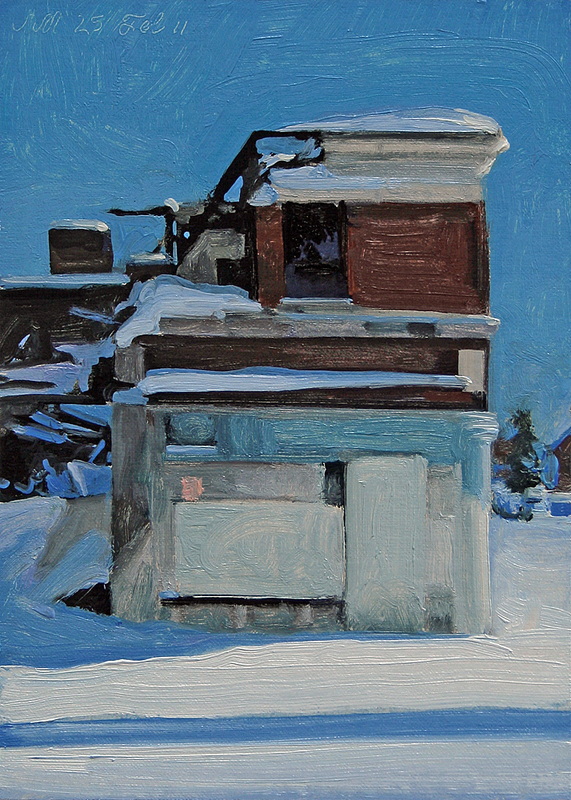 Today's daily painting is a winter urban landscape of an abandoned and burned corner building on Hamilton Street in Detroit. I was very interested in all the different shades and values of blue in this scene. 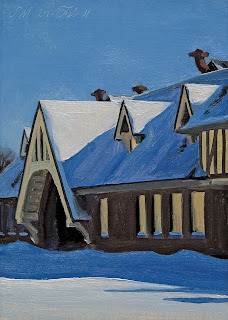 Today's daily painting is a winter landscape of the stables on Belle Isle. 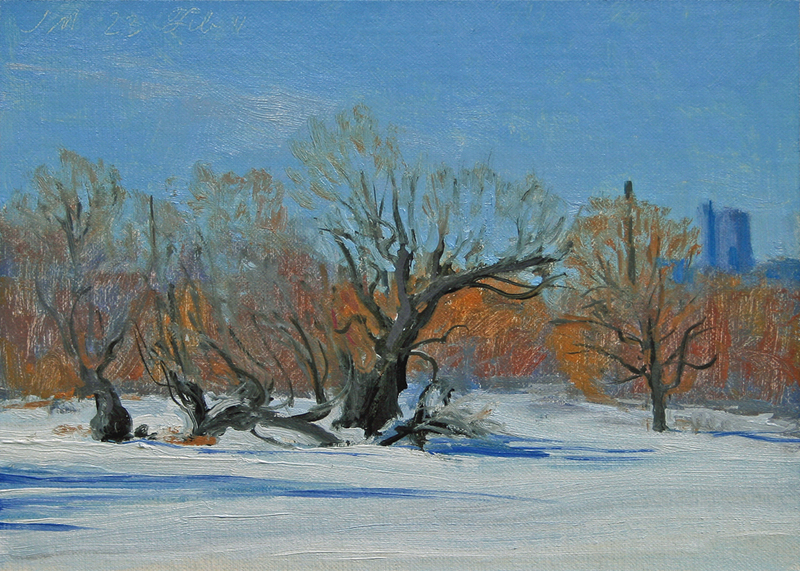 Today's daily painting is a winter landscape on Belle Isle with the GM Building in the background. 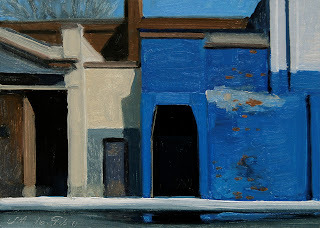 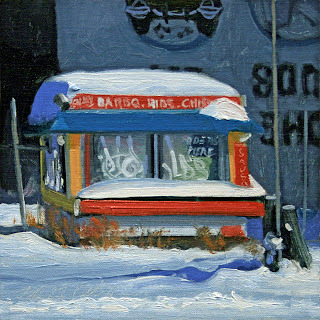 Today's daily painting is an urban landscape of a snow covered BARBQ stand along East Jefferson Ave in Detroit in bright sunlight against a building in shadow. 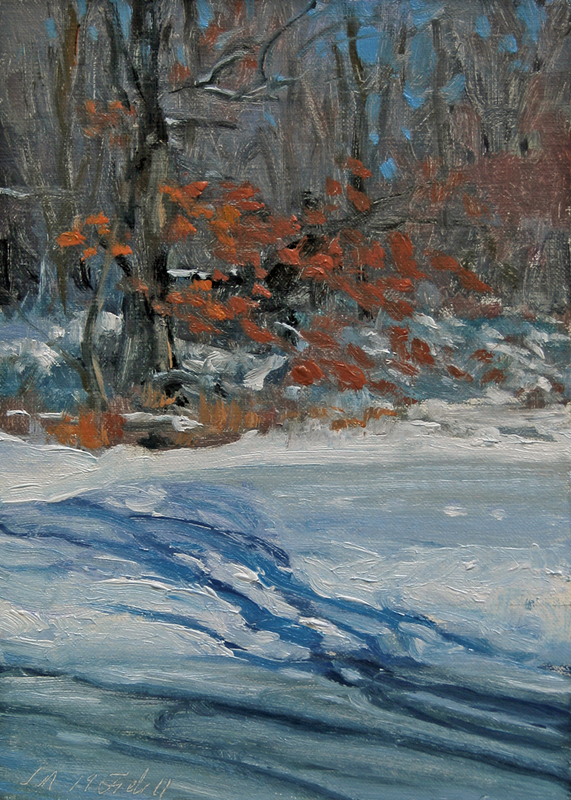 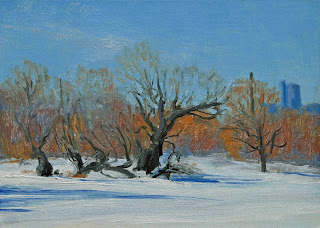 Today's daily painting is a winter landscape of shadows dancing over ice and snow on Belle Isle. 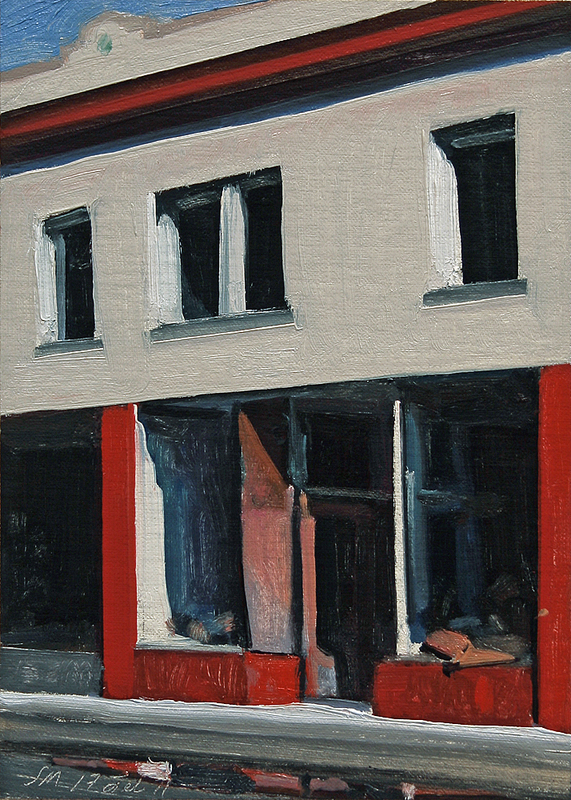 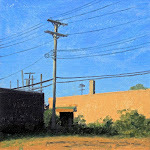 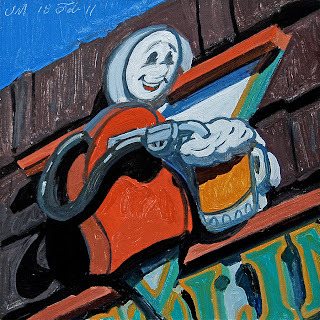 Today's daily painting is a detail of the sign for Gusoline Alley on Center St in Royal Oak. A local hangout for artists and musicians. 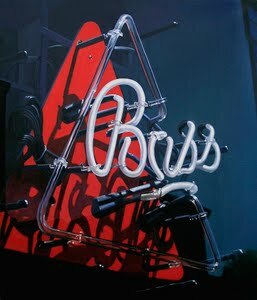 It was popular with the ad crowd in the mid 80's. 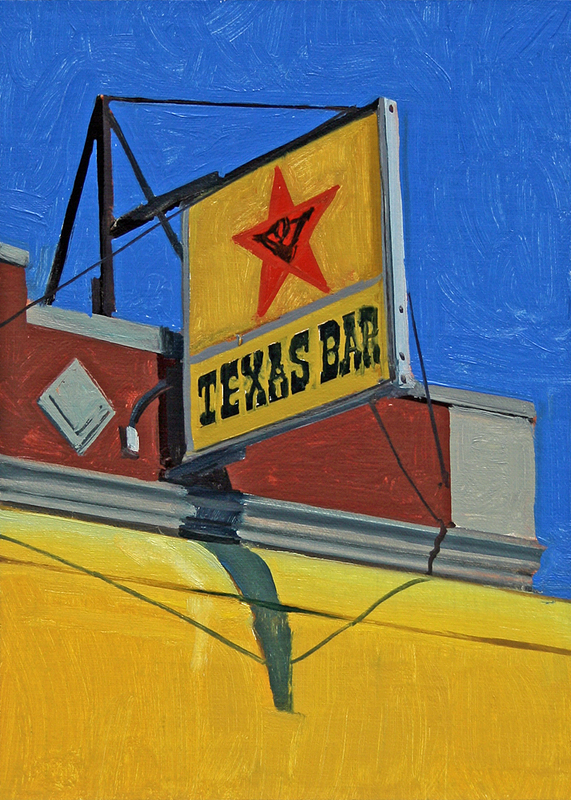 A bar with over 100 beers and 50 seats. 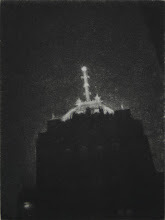 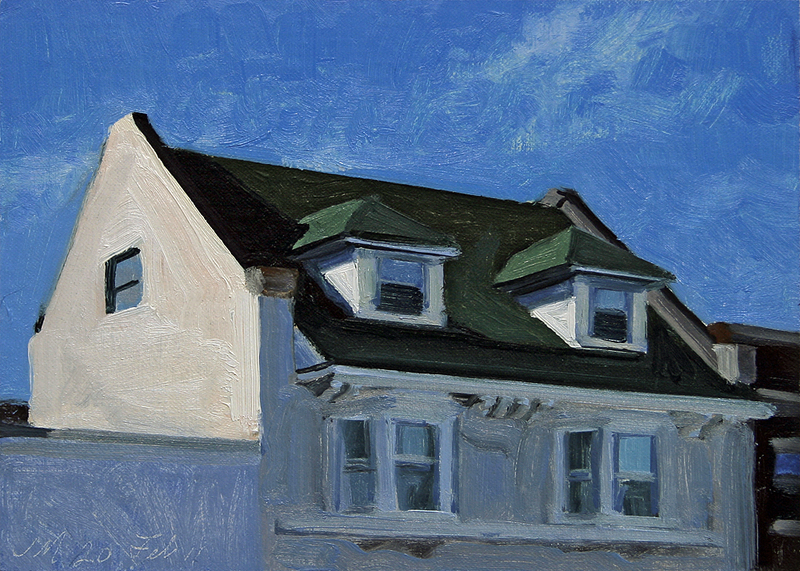 Today's daily painting is a winter urban landscape of a building on Pasadena Ave near Woodward Ave in Highland Park. 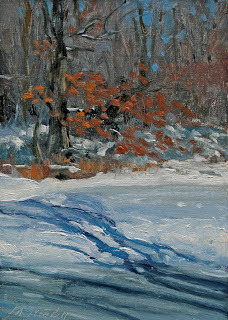 We finally got above freezing for a little snow melt and puddles.